Are you bringing a contribution or making a sacrifice? Are you merely involved or totally committed? As we traverse through life, each of us will come to a point where it will require more than passive involvement or menial contributions, but instead will involve a complete commitment and sacrifice. 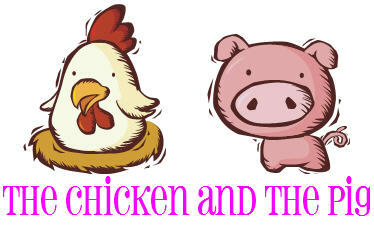 In the parable, the chicken was excited and eager about the idea because it only meant a contribution on their part. What were they really losing? Were they sacrificing anything or was it just another daily routine? As for the pig, the donation meant giving their all, making the ultimate sacrifice. The converse of this is that the chicken did not have to do anything out of their norm; it is routine for the chicken to lay eggs. The passion the chicken demonstrates is because it enjoys laying eggs, it is in its nature, and something is will do for as long as it possibly can. As for the pig, it was not their idea to begin with and thus the reason they were not keen on the idea. Furthermore, the pig fully understands the ramifications of providing the bacon. You have to decide what are you willing to do to accomplish what you want and just how passionate you are about it. Find what you are passionate about first and foremost. Contributions here and there have mediocre results, but commitment and sacrifice yield desired outcomes. The next time you began a new venture – career, relationship, diet, business idea, workout routine, degree/certification, etc. – figure out early what you are willing to give and watch it come to fruition. The sooner you decide, the better off you will be. But do remember, it may require a sacrifice that costs you everything!